The modern train experience is, quite possibly, the greatest disappointment in the life of any young Thomas the Tank Engine fan. We are taught from an early age that trains go “woo woo” and “chuff chuff” and yet the thrill of seeing a steam train has long since disappeared from everyday life. 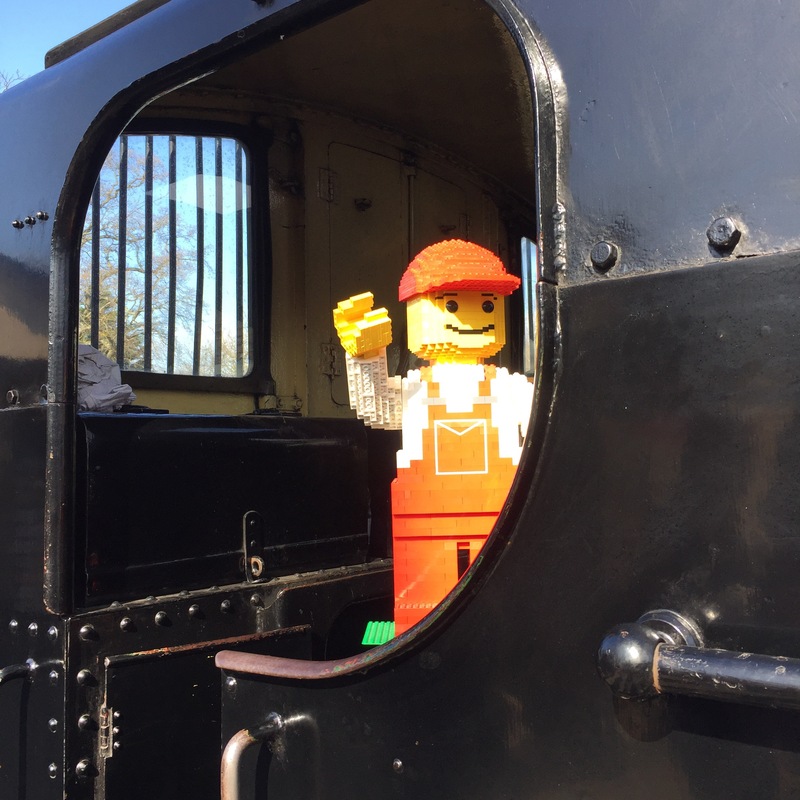 We have one “choo-choo” mad boy and one who loves all things to do with Lego and building, so the new Bricks Britannia exhibition on the Kent & East Sussex railway line sounded like a perfect day out for the whole family! 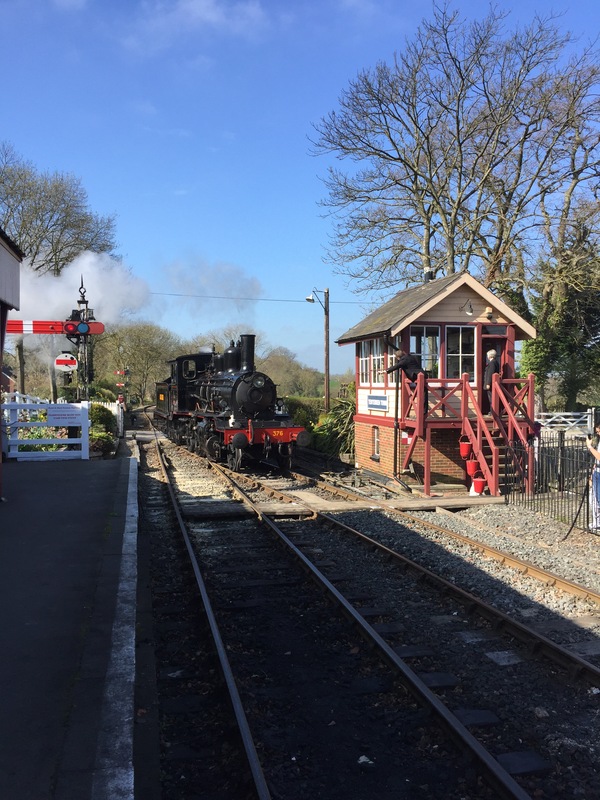 We drove to Tenterden in Kent for the first departure of the day (10.40am) and collected our tickets and a couple of tokens for the miniature railway before watching the train chuff majestically into the station. The boys watched in awe as a Lego driver then appeared in the cab. But we didn’t have time to stop long as we found our way to the standard class carriages and hopped aboard. 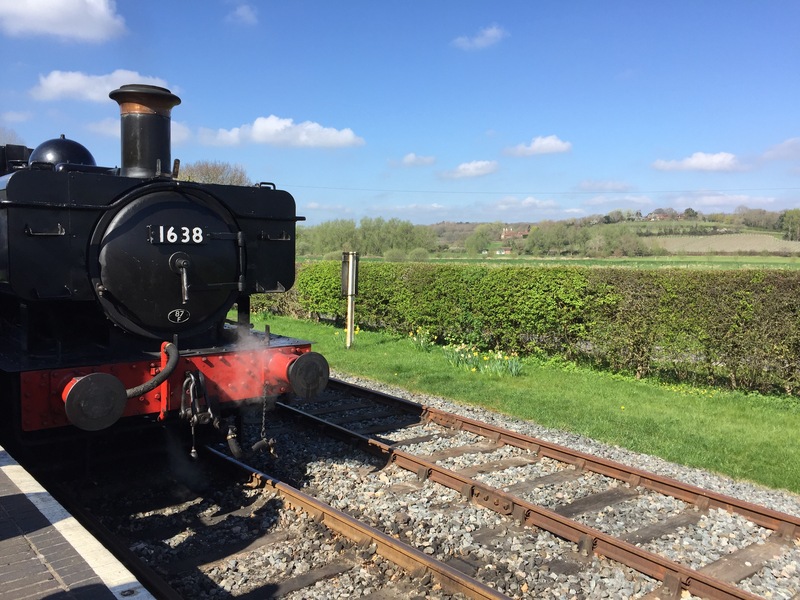 We rode the train through three stations and crossed the county line into East Sussex before arriving at our destination: Bodiam. All of the stations on this line appear untouched by the hands of time. The signal boxes use all of the original systems and the level crossing gates are pulled across the road manually to stop traffic and pedestrians. It’s a magical step back in time to the golden age of steam travel. 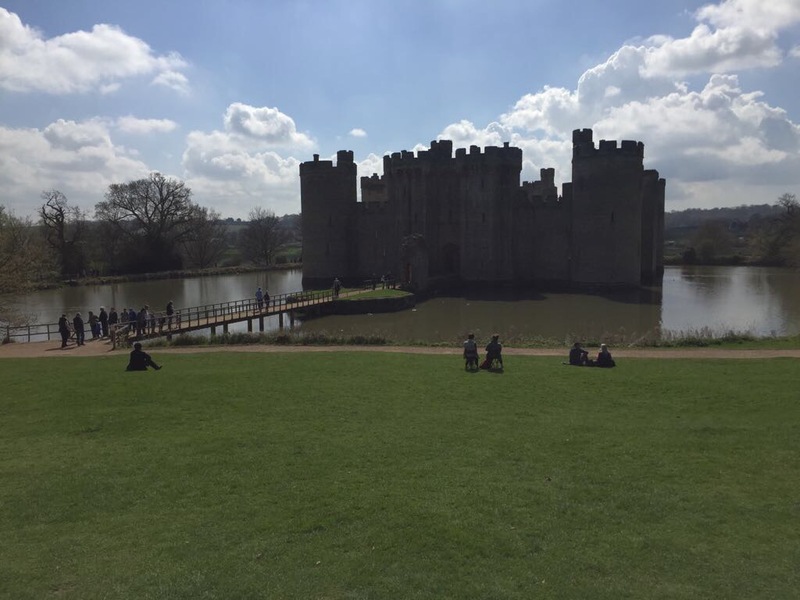 We are National Trust members, so we headed straight for Bodiam Castle, just a short walk from the station. The weather was glorious and the boys loved playing knights in the castle, sitting in the stocks, and jousting on our shoulders. The fish in the moat are bigger than the ducks and the boys loved watching them gobbling up the food thrown for them, as they made the waters froth and churn with excitement. Bodiam is a “proper” castle, with a sizeable moat, ramparts and, although now ruined, still much to explore and captivate the hearts and minds of small boys (and their mummy). 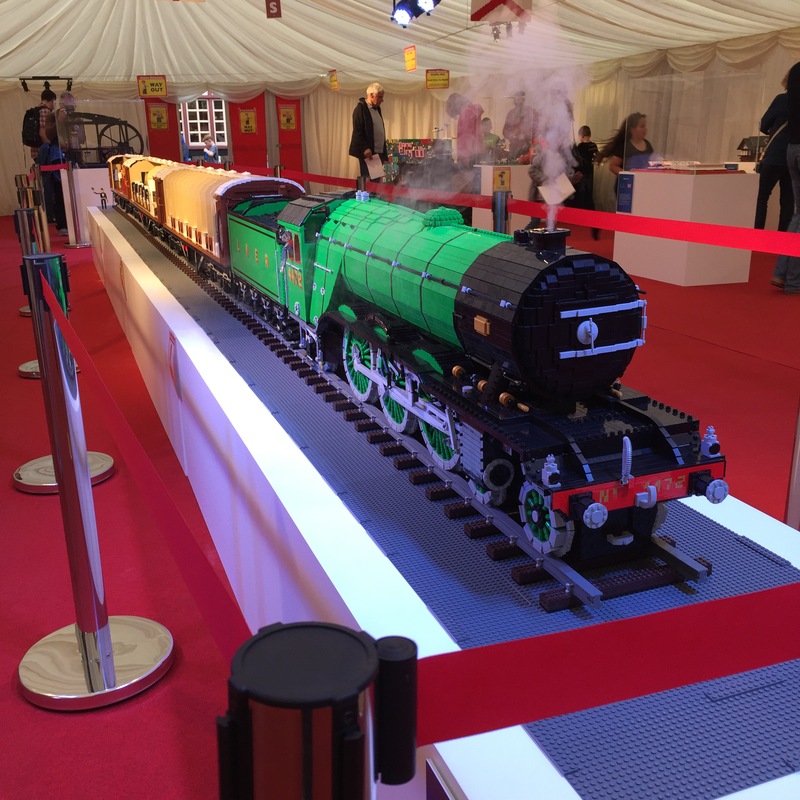 A stunning scale model of The Flying Scotsman provides the centrepiece to the Lego collection. 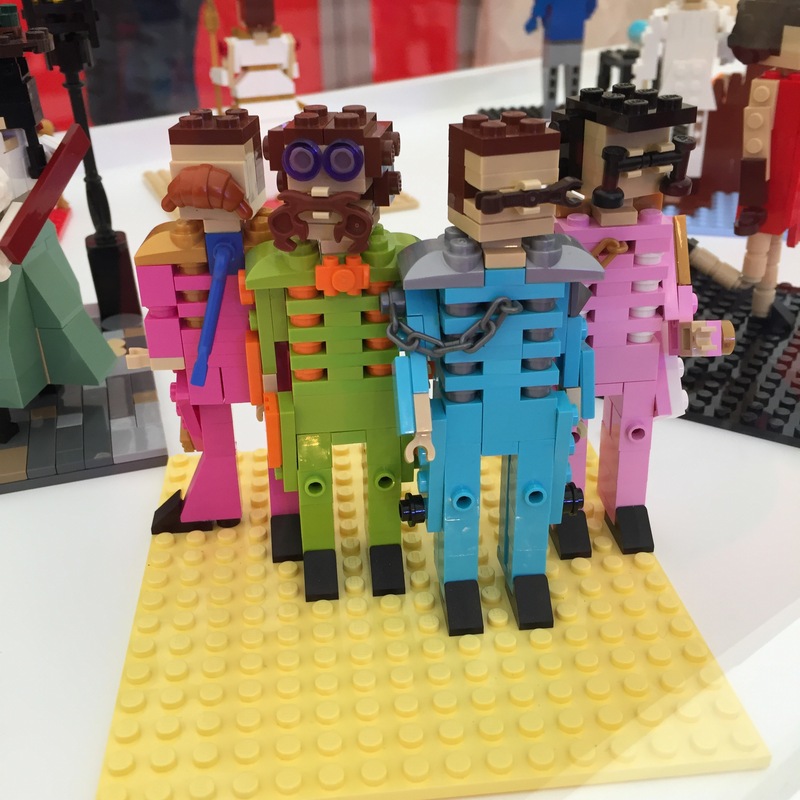 This is surrounded by a collection of 29 other Lego exhibits, detailing either important events in British history, British literature or icons of contemporary British culture, such as The Beatles, David Bowie, Beatrix Potter or Tim Berners-Lee. 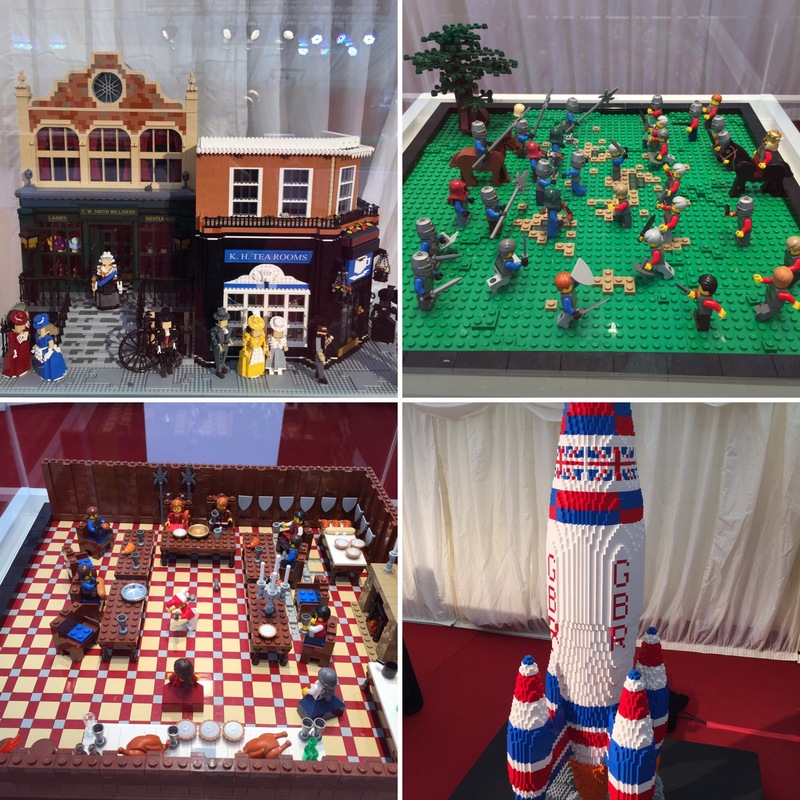 Henry VIII; Robin Hood; Richard III; Charles Dickens and Concorde all had a place in the exhibition and there was even a table in the corner dedicated to little (and big) Lego fans building their own creations. That kept the boys (and Daddy) entertained while I had a closer look at the incredible creations behind the glass display cabinets. 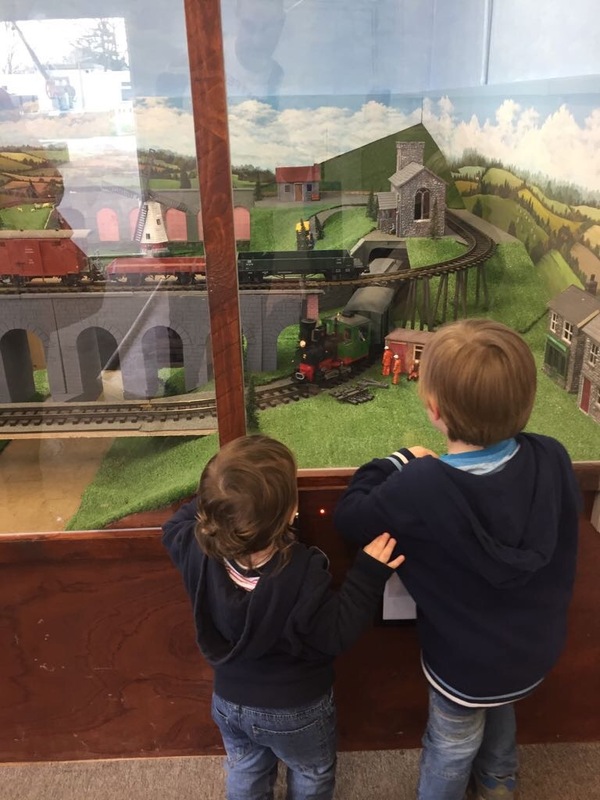 Behind the exhibition marquee is a permanent miniature railway, operated by coins or tokens. It has two train lines operating and various switches for little fingers to press that turn on lights, ring church bells and make farmyard noises. It was a real hit with my two, especially as the windows were at the perfect height for both to get a good view without being lifted up. Both boys raced after the trains as they went around the track and disappeared from view, before racing back to watch them come back through the tunnel again.